Earthmoving and lifting equipment are born tough––some of the industrially produced very high strength steels are used in these equipments. 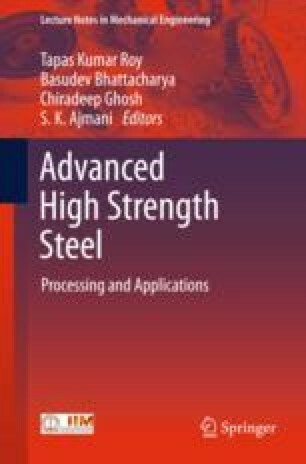 Two types of high-strength steel are generally used: (1) High-strength steel for wear resistance and, (2) High-strength steels for fatigue resistance used in load bearing members. The wear resistant steels generally have hardness in the range of 400–600 BHN and yield strength in the range of 1000–1200 MPa. The high-strength steels with high fatigue resistance have yield strength in the range of 550–980 MPa. These steels were earlier imported from few European and Japanese mills. The paper outlines the journey of development of these two categories of steel for Lifting and Excavation Sector at Essar Steel India Ltd. Metallurgical design considerations and process control issues for industrial manufacturing have been briefly outlined in this paper. India brand equity website http://www.ibef.org/industry/infrastructure-presentation.